Being a member of Women in Film International sure has its benefits. Our wonderful membership director, Candace Bowen not only presents the Malibu Breakfasts, but she recently pampered the members recently with a free spa day at the new Tikkun Holistic Spa in Santa Monica, CA. This special haven was recently written up in Daily Candy and is a Korean Spa on the west side of Los Angeles, with a holistic approach. I met spa owner, Niki Han Schwarz who explained that the phrase “tikkun olam” means repairing the world in Hebrew. Their Korean inspired spa treatments include therapeutic baths and body scrubs with clay, salt, jade, and ice rooms which are available for your enjoyment before and after treatments. Their combination bath and massage services are available in Spa Journey Rooms for individuals and the Private Spa Journey Suite offers an opportunity for couples to share a spa journey experience together. This could make a very romantic date with someone special! After a brief tour of the facilities, I changed into their spa attire of organic shorts and a top, which are typical clothing worn in traditional Korean spas. 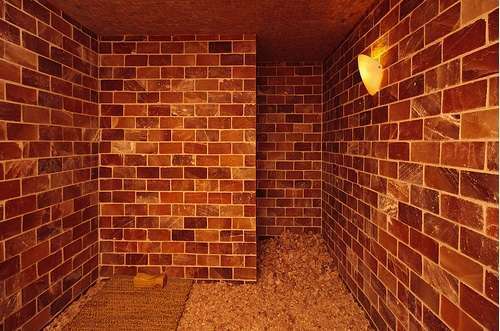 I was then led to the Himalayan Salt Room to relax for twenty minutes. Afterwards I was escorted to the cool down room before arriving in the Korean Hwangto Clay Room-another heated environment for additional detoxification. The highlight was clearly the Herbal Green Tea Soaking Pool. If my body hadn’t completely melted just yet, it certainly did in the hands of my masseuse, Kenny, who treated me to a combination of deep-tissue and swedish massage. Afterwards, I couldn’t resist and made another visit to the green herbal mineral bath, before going back to the real world. Some of their signature treatments include the Hot and Cold Stone Massage and the Korean Body Scrub which I will save for another visit, hopefully in the near future. Cyber-Dating Expert readers will be invited to the PRIVATE-Single’s Day at Tikkun Spa on Sunday, July 26, 2009. Join our mailing list to make sure you are invited so you can enjoy *Free* use of the facilities. Filed Under Beauty, Fashion & Beauty, Where's Julie? Tagged: Julie Spira, korean spa, santa monica spas, tikkun holistic spa, Where's Julie?